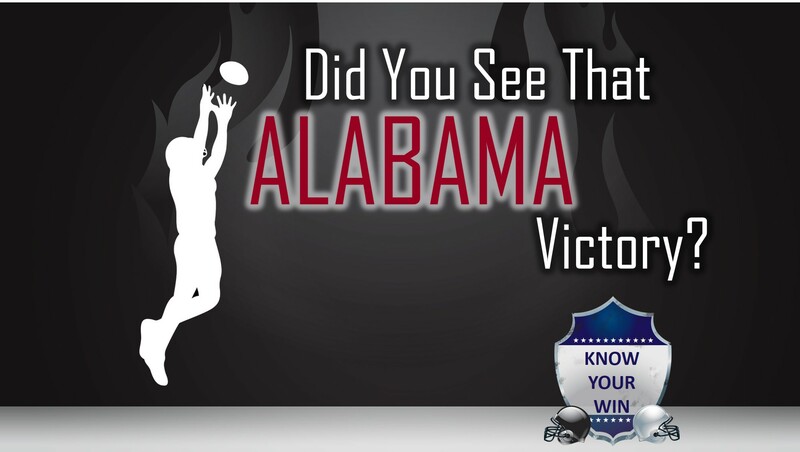 Did You See that Alabama Victory? What a game on Monday night, huh? Exciting. What a victory for Alabama. I was so excited for them. It must feel so good to put such a victory under their belt. Wait?! What’s that you are saying? Alabama didn’t win? But they had more points for 58 minutes of a 60 minute game. Surely that counts for something. They led the score for much longer than Clemson did. Surely that should matter more than what happened in the last few seconds of the game.